Today, November 16, is the day Justice League live action movie adaptation is released in Philippine cinemas. 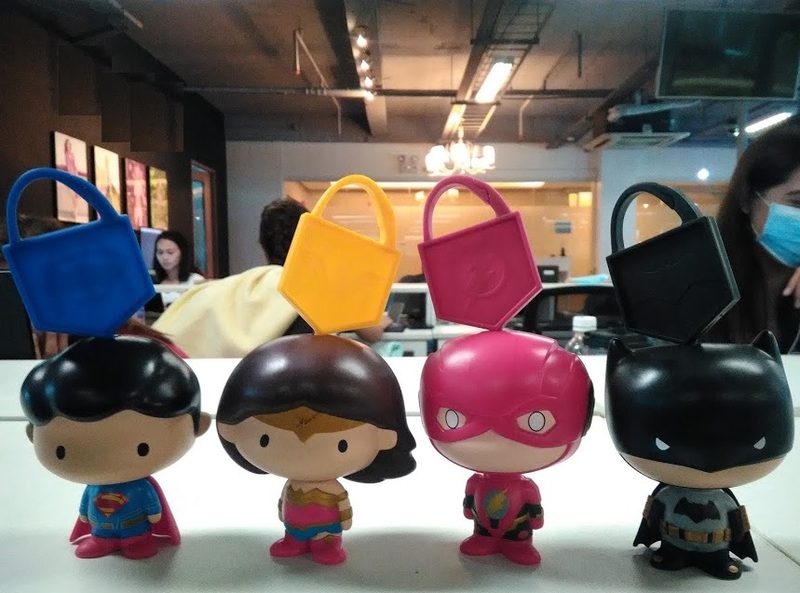 And to celebrate this unprecedented big screen debut of DC Comics' iconic superheroes together, McDonald's has partnered with DC and released these cute and awesome-looking Justice League bobblehead action figures. And yes, they are available starting today! These figures include Batman, Wonder Woman, the Flash, and Superman. Only four of them. Unfortunately, Aquaman and Cyborg are not part of the line up, although they are in the first live action movie adaptation of the Justice League. These new McDonald's toys are not part of the Happy Meal offering though, but these are very easy to acquire and very affordable. All you have to do is add Php90 to any meal you are ordering from McDonald's stores and you will get one of these. I am not really a big fan of the Justice League characters, but these bobblehead figures of them are just cute and awesome right out off the bat. So I wasted no time in getting all of them today. And to be honest this is the very time I was able to collect all toys in the same lineup from McDonald's. You should check them out today at McDonald's, if you have kids, they will definitely love these.